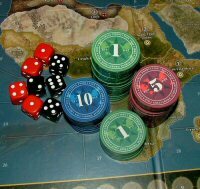 Narabi is a unique cooperative card game. With quick play, light strategy, and hundreds of card combinations for variety and new challenges, this card game is a must-have for any gamer’s library. Prepare to create your stone garden by pre-ordering your copy of Narabi from Z-Man Games or your local retailers. You walk slowly around the garden, stepping carefully around the deliberately placed stones. A breeze loosens a few delicate pink petals from the tree at the edge of the garden and you smile as you watch them dance in the wind. Picking up a nearby rake, you gently push the fallen petals out of the way before dragging the rake back through the sand to recreate the elegant linear pattern. After slow and steady work moving the sand and adjusting the placement of the stones, the garden is complete and a feeling of serenity washes over you. Creating a stone garden is a meditative experience, but it also takes concentration and the help of others. Working together, players build a peaceful stone garden with everything in its proper place. Some stones in the garden are dark or light, others are large or small. Stones will either be blank or have a value ranging from 0 to 9. Exchanging the stones one at a time, players must work toward the correct arrangement in as few moves as possible. A serene stone garden will have the stones in numerical order, either clockwise or counterclockwise. If players can achieve this order, they win. However, this isn’t as simple as just handing a player a 2 for their 5. In Narabi, the stones in your garden can only be moved in certain ways. These movements are defined by the restriction cards. 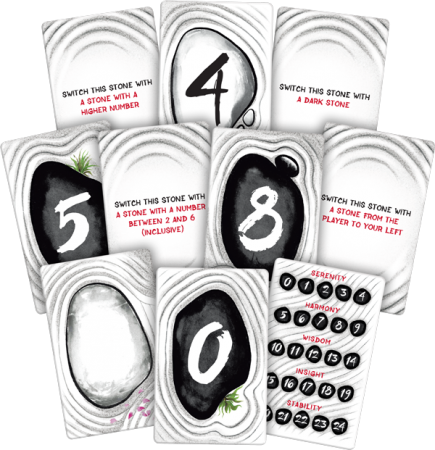 For example, a restriction card could say that a stone can only be exchanged with a stone that has a higher value. Another stone may only be exchanged with another stone that is numbered between 2 and 6. Each stone will have its own restriction that players must follow. With limited knowledge of other player’s stones, a perfect stone garden can only be achieved through teamwork, memory, and strategic precision. Will you be able to achieve true serenity? 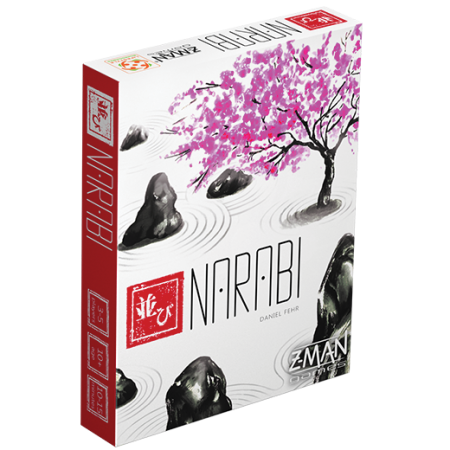 Narabi will be $14.99 and is planned to release early 2019.